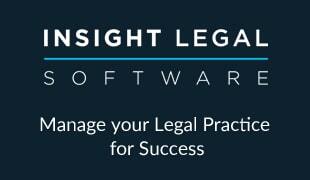 With ever-increasing financial pressure being felt across the legal industry, never has it been more important for firms and providers to have a proper understanding and handle on their cost base and on all the options available to them. One of these options is outsourcing. It is possible to make significant cost savings through outsourcing some (even much) of the work that is currently done in-house. Wherever you look these days, solicitors and legal providers are bombarded with advertisements and promises about outsourcing. And the potential is huge with pretty much everything up for grabs. It might be back-office services like IT, finance, typing or research. It could be services for use by your fee-earners in delivering assistance to clients such as ETSOS’s search supermarket and property services shop. Or it could be telephony services where an outsourcer has direct contact with your clients (at all times or just as an overflow mechanism to manage peak periods of demand), even if it is just as a receptionist. 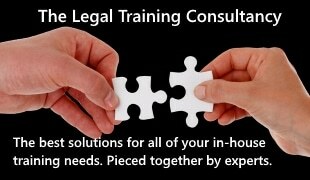 You can even outsource the legal work as well – part of it or all of it. But is it something for you? 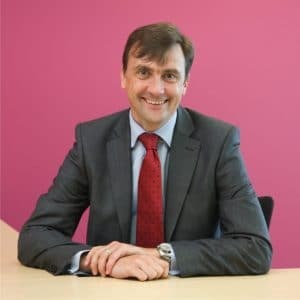 There have been some high profile outsourcing contracts entered into by solicitors and there have been some high-profile reversals of those outsourcing contracts as well. In the past month we have seen CMS Cameron McKenna and Osborne Clarke changing their outsource arrangements. In weighing up whether outsourcing is right for your business, it is not just financial considerations that have to be taken into account because there could also be far-reaching consequences – beneficial or adverse – in terms of your clients, your staff and your business development. There is no right or wrong answer which will apply to each firm across the board. What is right for one will not be for another and just because it might be right now does not mean that it will always be right. Outsourcing certain things allows you to focus on your businesses core skills. If back-office functions are expanding beyond control because they are not a core focus of the business, it might be better to ship them out. Cost and efficiency savings. Through scale, specialisation and investment, outsourcers might be able to provide a far more cost-effective solution. Avoiding ‘fixed-cost steps’. If your business is growing, you will reach a fixed-cost step at some point. It might be new premises etc. Outsourcing could delay or avoid this by freeing up resource. Staffing flexibility. Outsourcing could help cope with seasonal or cyclical demands with no firm or long-term commitment. Staff development. You can use outsource providers to teach and develop your own staff to give them better skills or make them more efficient. Loss of management control. Even with a watertight contract you are one step further removed from the process and the work will be done according to the ethos and values of the business partner – not your own business. Threat to security and confidentiality. This is very serious if the process involves personal information. And this is not just client information – it could be information relating to staff. Data protection must be paramount. Some of the big data protection scandals in the financial services sector involve outsource partners. This point also applies to company know-how and business infrastructure. Quality. Typically outsourcers strip processes down to their lowest common denominator. They will aim to hit service-level agreements, but no more. It also limits your ability to respond in a changing business environment. Your contract will be specific and any changes to process will have to be paid for. Dependency on the financial well-being of another company. Like any other company, outsourcing organisations are not immune to financial difficulty and bankruptcy. Bad publicity and ill-will. You might think this particularly relates to offshoring in the eyes of the public but it could also play a big part with staff and local communities. Seeing colleagues being made redundant or jobs disappearing to different parts of the country for the sake of partner drawings has been known to become a news story – even in the legal sector. One final thing that you have to be aware of is the regulatory implications of outsourcing. This is covered in chapter 7 of the SRA Code of Conduct – specifically outcomes 7.9 (which is self-explanatory) and 7.10 which is less so. The latter states that “where you outsource legal activities [note: not just reserved work] or any operational functions that are critical to the delivery of any legal activities”, you have to, among other things, obtain a contractual obligation to allow the SRA to inspect the records of and enter the premises of your outsource provider. It is not clear what the SRA would consider to be “critical to the delivery”, but the vast majority of what you do could be argued to be “critical”, otherwise why would you be doing it? If it is right for your business, make sure you keep on the right side of the regulations. And a final, final point – just because the decision you have come to is right for your business now does not mean that it will be so ad infinitum. Your business infrastructure needs reviewing just like your marketing plan does. Keep revisiting the decision in your planning process.